October | 2012 | I Haven't Had My Coffee Yet -- Don't Make Me Kill You! It takes a combination of factors including patience, perseverance and, most importantly an undeniable work ethic to rise above the masses of songwriters all hoping to get their songs out in the world. I’d like to begin this article by saying that I’m not a cynic. On the contrary, I’m a big believer that if your dream is to have success with your music, then, in time, you will find that success. However, there are rarely shortcuts in our line of work and being a gifted songwriter, in my experience, simply isn’t enough to guarantee success. It takes a combination of factors including patience, perseverance and, most importantly an undeniable work ethic to rise above the masses of songwriters all hoping to get their songs out in the world. 1. There are lots of talented people. If I’ve learned anything after living in Nashville and New York City over the past almost twenty years, it’s that at a certain point, talent is the least common denominator. In the big music cities, the pool of gifted songwriters is deeper and wider than we can possibly imagine. This is a good thing. It gives us ample opportunities to learn from each other and improve, but the flip side of this is that talent is only a starting point. It’s all of the other things you do that separate you from the pack. 2. Talent is something that you’re given. It’s up to you to develop it. There’s a reason talent is also referred to as a “gift.” The spark that makes us creative and intuitively wired is something that we don’t choose, we just get it. But just because you’ve got a gift doesn’t mean that you don’t need to develop it or spend time understanding it. That part is actually work. When you do the work, you will develop the ability to turn something that was unpredictable into something you can do consistently in order to make a living. 3. You’re running a business. Being a talented songwriter without taking the time to understand the music business is the equivalent of a company that makes a great product that no one will ever hear about because they have no marketing department. In other words, writing the songs is just the tip of the iceberg. You need to remember that like any business, you’ve got to know the landscape, who the major players are and set specific goals along the way in order to get to the next level. I’m not saying this is easy, but I am saying it’s essential. 4. Work ethic is everything. The dangerous myth about the music business is that it’s an exciting, creative world where people make beautiful music, go to parties, and one day they wake up and their song is on the radio. The gritty, unglamorous truth is that just like in any business, there are mundane, yet necessary, things you have to do day in and day out in order to get your music out in the world. Having a solid work ethic and a willingness to get up every day and work towards your goal will eventually get you there. It’s not always clear along the way how these little things help, but they do add up and, in the end, make all the difference. There is some glamour and excitement in the music world, but there’s a lot of uninspired work that needs to happen as well. Make sure you’re prepared to do that stuff, too. Talent is a wonderful thing and should never be taken for granted. I’m here to remind you to enjoy your gift for the amazing thing that it is. However, this talent is only one part of a bigger set of conditions that need to be met in order for you to successfully get your songs out in the world and make a living doing it. via Four Reasons Talent Isn’t Enough | MusicWorld® | BMI.com. For the do-it-yourself singer/songwriter, booking shows and all of the additional duties that come with playing live gigs usually fall on the shoulder of one person. Who? You already know the answer to that. It’s you. So how do you do it? The answer can be summed up in one word: relationships. Just as you’ve been diligently manning your band’s Facebook page and crafting amusing Twitter quips to jettison out into the vast spaces of the internet to keep fans engaged and on their toes, so too must you keep in mind one of the most important sets of relationships that you can develop in this what-have-you-done-for-me-lately business: the venue owners. Some large venues can afford to employ talent-buyers, and others rely on a manager to handle the entertainment schedule, but more often than not, an up-and-coming band will be dealing with the owners of the venues in which they play. For lack of a better term, let’s simply refer to each of the people mentioned above as “the owner,” since regardless of financial stake in the game, they’re the ones who are giving you the date or paying you your earnings each night. Here are some tips about how to connect – and stay connected – with these important members of an independent singer/songwriter’s network. via Songwriter Blog: How to Build Strong Relationships with Venues | MusicWorld® | BMI.com. Visit any music store and you can’t miss the posters — “Rock Star X proudly plays Company Y’s guitars.” Or crack nearly any music trade magazine and you’ll see ads with well-known keyboardists, horn players, producers, and beyond singing the praises of the instruments and tools of their choosing. Such are the most visible manifestations of sponsorships and endorsement deals, symbiotic relationships between companies and music creators who use, and help promote, their products. And while many endorsement deals may seem like the stuff of high-visibility, world-touring acts, they can be helpful tools for a wide range of indie musicians as well. Here are some thoughts from artists and industry professionals to help demystify the world of endorsement deals and help you figure out which options, if any, are best for you and your music. An endorsement deal is a partnership, plain and simple, where each party does certain things to help the other — and themselves. In an endorsement relationship, artists often receive goods for free or reduced price, as well as “promotion for benefit of the artist’s career and the stature of the manufacturer,” says Randy Fuchs, who coordinates endorsement relationships for brands like Nord, Kurzweil, PreSonus, and many others through his company Artist Relations. Fuchs sometimes gets endorsement inquiry phone calls from artists who may be amazing musicians indeed, but haven’t yet attained the career momentum necessary to fulfill their end of an endorsement relationship — a.k.a., bringing visibility and prestige to the company in a meaningful way. “Even if someone is a brilliant songwriter or player,” says Fuchs, “if he only has 200 views on YouTube and doesn’t play any live shows, he’s not going to help a company sell their product,” says Fuchs. “If that same player joined a band, started playing gigs, and started to build a following — or even put together something wonderfully unique online that people could gather around — that’s far more compelling. If he’s able to get people to love what he does, that’s a powerful message. Do you feel like your band is in the right position to get an endorsement relationship rolling? “The next step is to reach out to the company and ask for somebody in artist relations,” says Fuchs. “The dialog can begin from there.” Similarly, if you attend NAMM, AES, Musicmesse, or other music manufacturer trade shows, showing up in person at a company’s booth and introducing yourself never hurts; even if you won’t be ready to approach the manufacturer of your dreams for another several years, having a friendly face within the organization can be a great boon when it comes time to talk business. Just like many aspects of the music business, landing and maintaining a strong endorsement relationship has a lot to do with good will, positive energy, and enthusiasm. In other words, don’t be a jerk. According to Roe, her duo’s arrangement with Steinway entails the usage of Steinway pianos at their concerts and appearances in master classes at Steinway dealerships around the country (when schedules allow). “Steinway is basically responsible for providing instruments at our concerts,” she continues — though beyond that, the company has made its historic Queens, New York factory available to the duo for a music video shoot as well. One area worth particular attention is anything that specifies which instruments from competing companies the musician can and cannot use in public. “I would never tell a painter to only use one paintbrush,” says Fuchs. “I believe that an artist has a right to use multiple brands, as long as they’re using my keyboard, for example, for the majority of gigs, and they do not appear in the ad of a competitor.” Not all companies will necessarily feel the same way, though, so be sure to check the fine print before signing anything, and make sure that whatever you agree to does not compromise your ability to deliver the best music possible. At the end of any discussion, a written agreement, lasting either one or two years or in perpetuity, will likely be involved, says Fuchs. Whatever the term, be ready to review carefully — and consider showing the document to a lawyer as well. If there’s ever a moment where you’re unsure about how to proceed — a certain venue only has a competitor’s instrument or amp, for example, and the gig is being streamed live on the Web — your contact at the endorsing company should be able to help you figure things out. And if worse comes to worse, review your original written agreement for clarification. Anderson further warns that, while it’s important to speak positively about an instrument or company that you endorse, don’t go overboard. “We do our best to truly champion the product at hand as often as feels natural,” he says. Fuchs affirms that his company forges endorsement relationships with plenty of up-and-coming artists — yet regardless of whether a band is selling out small clubs or packing stadiums, a true dedication to one’s career is a must, he says. While many endorsement opportunities exist with music manufacturers, artists of all genres and levels of popularity continue to partner with beverage and snack food manufacturers, restaurant chains, shoe and clothing companies, and beyond — often in highly creative ways. Moldover also advises seeking out individuals at your target company who see eye to eye with you and can advocate for you and your music. “If you don’t have a personal connection as well as a philosophical one, it’s hard to get anywhere,” he says. The majority of research undertaken shows that overall unlicensed P2P file-sharing has a negative impact on recorded music sales. Unlicensed P2P file-sharing is also a major obstacle to a thriving digital music market as it does not reward artists, creators or investors in music. Like other forms of piracy, it provides unfair competition to an enormous range of legitimate sites and services that music consumers have access to across the world. via Mi2N.com – Overall Impact Of Unlicensed P2P File-Sharing Is Negative. Since CD Baby enables you to make all the music you distribute through us available on SoundCloud with the push of a button, I thought it’d be a good idea to list some of the ways you can use SoundCloud to promote and share your music across the web. SoundCloud was designed to be the simplest way to store your tracks in one place and “push them out” to social networks, blogs, etc. You can easily share single tracks or “sets” (a playlist of songs that all appear in one waveform player) to Facebook, Twitter, Tumblr, and more– or embed the SoundCloud player manually! Just click the “share” button on the player to get started sharing your music with the world. When it comes to fan engagement, there are dozens of possibilities for sharing tracks and sets on SoundCloud: ask for feedback on alternate mixes, encourage your fans to create their own “perfect setlists,” post an untitled track and ask for fans to comment with their suggestions for the song name, etc. SoundCloud makes it easier for you to do your own digital PR. Send your tracks to bloggers and journalists; you control whether they can download the tracks or simply stream them. via How to Promote Your Music with SoundCloud | DIY Musician. It seems that hardly a month goes by where a top singer isn’t forced to interrupt a tour, take a break, or undergo a medical procedure due to problems with their voice. Vocal health is often taken for granted, but once problems develop, they can stop a singer dead in his or her tracks, and in some cases require surgery and a lengthy post-surgery period of rest and recovery. While we don’t normally think of singers as world-class athletes, some medical professionals are making the case that the demands put on one’s voice when singing one to three hours a night is as intense as those made by an Olympic marathon runner on his body. Additional factors such as nutrition, smoking, drug use, noisy environments, and proper voice training (or the lack of it) all play a role in a singer’s ability to hit the stage night after night and perform at their best. Like many health-related issues, prevention is much easier and less expensive than having to undergo surgery, so it’s important to understand how to keep your voice in good health. During the last half of 2011, three major recording artists dropped out of circulation due to vocal health issues. Each developed a slightly different voice problem that required rest and eventually surgery. Arguably, the most valuable voice in pop music at the moment, that of the talented British pop singer Adele, whose sophomore album 21 has sold more than 10 million copies worldwide, was silenced when she was required to cancel seventeen US dates mid-tour and have laser surgery due to the condition of her vocal cords. While she is expected to make a full recovery, her condition is just one example of a high profile artist facing problems maintaining their vocal mechanism. Adele’s condition, reported in the press as two hemorrhages of the vocal cords (the terms vocal cords and vocal folds are often used interchangeably), was likely exacerbated by the stresses of touring. via Vocal Health Basics – How to Properly Care for Your Voice. As an artist, whether you create music, drama, literature or art, you want your product protected. You don’t want someone else taking your work without your permission. You may be afraid of “putting it out there” for fear of it being taken and used by others. That’s where intellectual property, or “IP,” comes in. 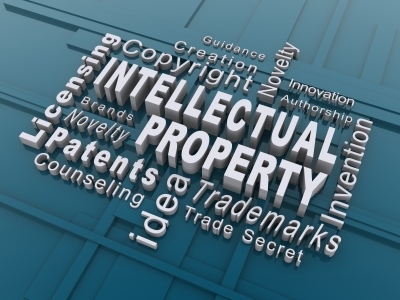 IP comes in three forms: copyrights, trademarks and patents. Patents protect inventions, which is for another time. This article addresses copyrights and trademarks. Protecting the products of your creativity need not be very expensive or time-consuming. This article explains what IP is and briefly illustrates how copyrights and trademarks can be used as tools to protect works within the entertainment industry. Note: This article only briefly touches on a field of law that is very extensive and complex. 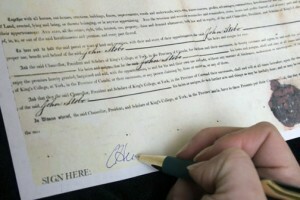 It is meant to be an introduction containing general information, not legal advice. Please consult an attorney if you have specific questions about your unique situation. Below are the basics on copyrights and trademarks: what they are and why you should care. via Intellectual Property for Artists: Copyrights, Trademarks and Protecting What You Create | CLARK, KRAUSS & COLANERI.